Doctors Are Diagnosing More Kids With ADHD : Shots - Health News Researchers found the number of children being diagnosed with ADHD by doctors in the Kaiser Permanente system in Southern California rose 25 percent over the past decade. Though more black and Hispanic kids are being diagnosed with the disorder, the diagnosis is still most common in white boys from high-income families. The increase in diagnoses could be due to better education of parents, and better access to health care, the researchers say. 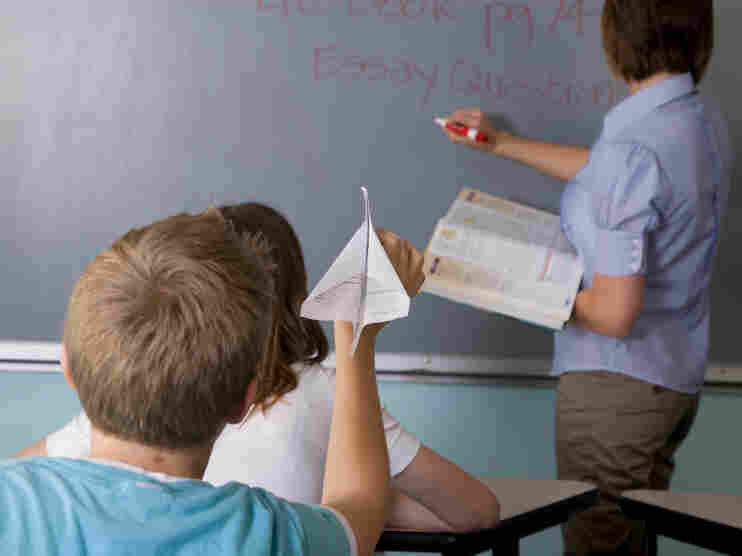 For at least a decade, many have assumed that too many fidgety kids have been diagnosed with attention deficit hyperactivity disorder and been medicated for it. But it's still been hard to get reliable information on just how many kids are getting diagnosed and whether it's justified. So researchers at Kaiser Permanente in California decided to look at the trend, using the best data they could get from kids who'd actually seen specialists. They found that the number of children being diagnosed with ADHD by doctors in the Kaiser system in Southern California rose 25 percent over the past decade. That's 3 percent of children ages 5 to 11 diagnosed in 2010, compared to 2.5 percent in 2001. Overall, almost 5 percent of the 830,000 children studied were being treated for ADHD. That's a big number, but it's still a lot lower than the 10 percent of kids receiving the diagnosis as reported by federal studies. That's probably because the federal surveys rely on parent and teacher reports, which are less reliable than the medical records of children getting health care at Kaiser. The Kaiser researchers also only counted kids who had seen specialists, which means their diagnosis is probably more accurate. The Kaiser Permanente researchers also used very specific criteria for the diagnosis: doctors using the DSM-IV, a diagnostic manual that requires that a child have six or more symptoms for at least six months that aren't age-appropriate, and are severe enough to cause problems in everyday life. Those symptoms include failing to pay close attention to details; difficulty sustaining attention; difficulty organizing tasks and activities; avoiding homework or other tasks that require sustained mental effort; fidgeting; excessive talking; and impulsivity. "We took a clearer definition of ADHD," says Darios Getahun, the Kaiser researcher who led the study, which was published online in JAMA Pediatrics. They found that ADHD is still most commonly diagnosed in white boys from high-income families, making more than $70,000 a year. But the number of black and Hispanic children diagnosed increased the most, from 2.6 percent to 4.1 percent for blacks, particularly black girls, and 1.7 percent to 2.5 percent for Hispanics. Those increases could be due to better education of parents, and better access to health care, Getahun says. Hispanic children were most likely to be diagnosed later, around age 10 or 11. Other studies have shown that the earlier children are diagnosed and treated, the better they respond. "It may be that additional education is needed to make [parents] aware that early diagnoses is very critical," Getahun adds. The number of Asian children diagnosed with ADHD stayed at a low 1 percent. "I don't have an explanation for that," Getahun says. Other studies have also found that Asian children are less likely to be diagnosed, and more likely to stop treatment with prescription drugs like Ritalin and Adderal. "That tells me there's a cultural issue there," Getahun added. He plans to explore that in the future. Even if the lower numbers from this study hold up, ADHD remains among the most common psychiatric problems of childhood. Children with ADHD are more likely to have problems in school, become injured, and struggle with relationships with friends and family. In 2005, the annual economic costs attributed to ADHD were estimated at between $36 and $52 billion. The causes of ADHD aren't clear, but it can run in families, which suggests there may be genetic causes. Other potential factors include exposure to environmental toxins including tobacco smoke, lead, and pesticides; a mother's use of antidepressants during pregnancy; and low birth weight and prematurity. About half of children diagnosed seem to outgrow the symptoms by the time they're in their 20s. In 2007, researchers at the National Institute of Mental Health reported that that could be because some brain regions in children with ADHD tend to mature later than normal. Those regions are the ones associated with control of action and attention.